A simple colour and shape matching game that requires strategy and tactics to win. 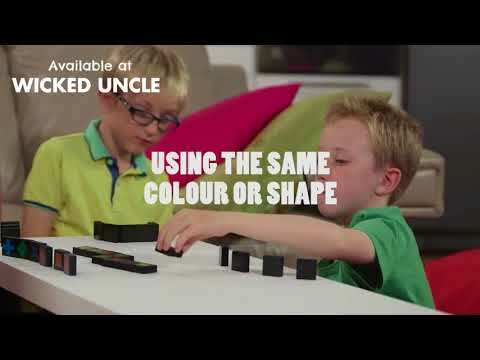 This multi-award winning game consists of 108 chunky wooden tiles with six shapes in six colours. Use the tiles to build a line that shares a common attribute, either colour or shape and score points. A quick game to learn, but you’ll soon discover that you need to think strategically in order to score the most points. Endlessly fascinating and challenging fun for 2 to 4 players. Recommended. Three colour shades in every single pencil lead - truly magic! Navigate your spaceship through 60 challenges from Easy to Expert.